Jaguar Land Rover has done well in global markets like China and North America but faces major challenges of currency fluctuation and Brexit issue in the UK besides the uncertainty over diesel engines as it faced in Europe. Homegrown auto major Tata Motors on Wednesday reported 49.82 per cent decline in consolidated net profit at Rs 2,176.16 crore for the March quarter with its British arm JLR continuing to face challenges in the UK and Europe, in addition to one time impairment charge. It had posted consolidated net profit of Rs 4,336.43 crore in the corresponding period of last fiscal, Tata Motors said in a BSE filing. Its consolidated income from operations in the fourth quarter of 2017-18 was Rs 91,279.09 crore. It was at Rs 78,746.61 crore in the year-ago quarter. The company said an exceptional debit of Rs 1,641.38 crore was provided after it reviewed product development programmes in capital-work in progress and consequently provided for impairment during the quarter. The two figures are not comparable due to GST implementation from July 1 last year, after which revenue from operations is reported net of GST. During the quarter under review, Jaguar Land Rover's (JLR) net revenue grew by 4 per cent to 7,555 million pounds. Its wholesales were up 2.2 per cent. While it has done well in global markets like China and North America, JLR faced major challenges of currency fluctuation and Brexit issue in the UK besides the uncertainty over diesel engines as it faced in Europe. JLR will invest 4.5 billion pounds in 2018-19 on new models and technologies. 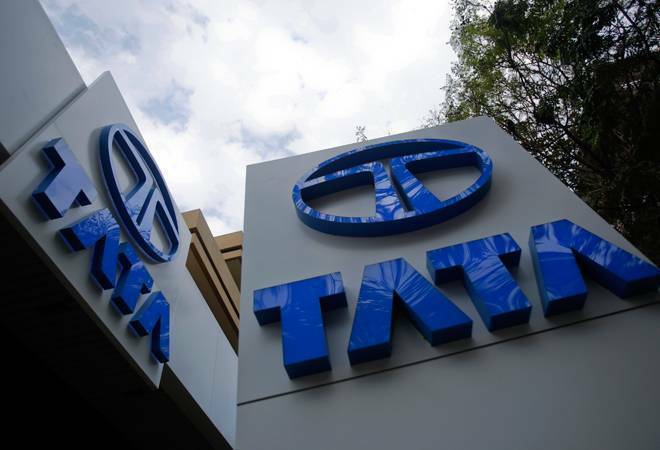 Tata Motors which has been on a turnaround journey for its domestic business said that in 2017-18 consolidated net profit was at Rs 9,091.36 crore as against Rs 7,666.56 crore in the previous fiscal, up 18.58 per cent. Consolidated income from operations for 2017-18 was at Rs 2,95,409.34 crore. It was at Rs 2,74,492.12 crore in 2016-17. Tata Motors Chairman N Chandrasekaran said in a statement, "In FY18, JLR delivered profitable growth despite challenging market conditions... In near terms, the challenges of market, technology and geo-political uncertainties are likely to persist." He further said: "In the domestic business, the 'Turnaround' results are clearly visible. We gained market share in both CV (commercial vehicles) and PV (passenger vehicles) with strong improvement in profitability and positive cash flows." During the year, JLR's retail sales grew 1.7 per cent year-on-year to 6,14,309 cars, with demand up in China (19.9 per cent), North America (4.7 per cent) and in overseas markets (3.4 per cent). "These regional increases offset lower figures in the UK (decline of 12.8 per cent) and Europe (down 5.3 per cent), where sales were impacted by consumer uncertainty surrounding diesel models," the company added. On a standalone basis, Tata Motors Ltd (TML) said its net loss in the fourth quarter narrowed to Rs 499.94 crore. The net loss was at Rs 805.93 crore in the same quarter a year-ago. Standalone revenue from operations for the quarter was at Rs 19,779.32 crore. It was at Rs 15,080.56 crore in the year-ago-period. For the year 2017-18, standalone net loss was at Rs 1,034.85 crore. It was at Rs 2.42.9.60 crore in the previous fiscal, the company's filing said. Standalone revenue from operations for the year was at Rs 59,624.69 crore. It was at Rs 49,054.49 crore in 2016-17. TML on a standalone basis delivered positive cash flow of Rs 1,339 crore in 2017-18 after five years. In FY18, wholesales, including exports grew 17 per cent to 6,36,968 units with broad based growth across the entire portfolio, it added. Tata Motors CEO and MD Guenter Butschek said: "FY18 has been a hallmark year for Tata Motors with a record breaking sales performance, increase in market share and the standalone business turning profitable before one-time exceptional charges." On the outlook, he said, "As we step into Turnaround 2.0, we would like to embed turnaround thinking within TML and our business plan will continue to remain robust in terms of sales, market share and financial performance."